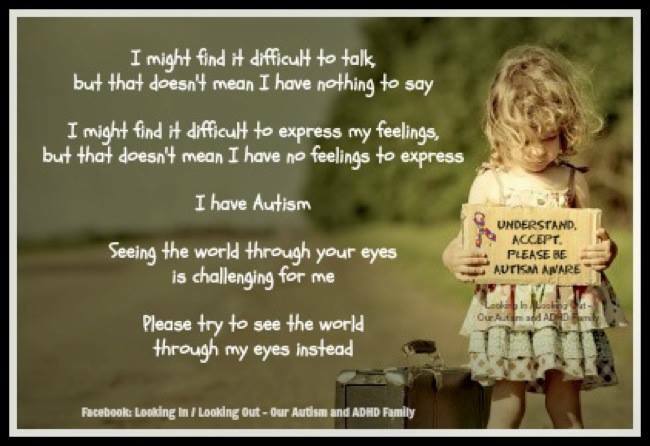 Parents of Autists (Autistic Spectrum individuals) want the best for their children. On of the biggest issues for Autists is socialization. The inability of their child to socialize in any meaningful way breaks many parent’s hearts. Parents will often seek to foster interpersonal relationships. There are some common approaches that many parents take in this situation. The following statements are blanket statements and there may be exceptions. If there are exceptions, revel in them. They will make play dates with children from their child’s class. Unless your child is in a special education class specifically for Autists, this is probably not going to work. Your Autistic Spectrum child is having problems with social skills. This means that they are having problems socializing with that group of children. 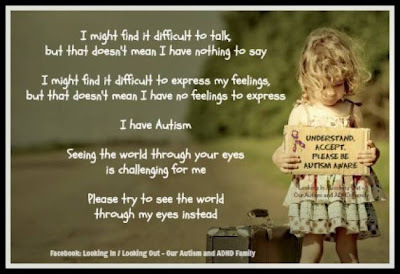 Even if the class is unaware of the Autistic nature of your child is not common knowledge, the children in their class will sense that there is something different about them. When we come right down to it… we are primates. Primates are social animals. In nature, differences, are often punished… by shunning, violence and even death. Differences, on an instinctual level, mean that another animal is unwell, of a different species, old or infirm. As we evolved into a civilized animal, we put the violent actions aside (for the most part), but kept our desire to avoid those that are different and seek out those that are like us. So, your Autist child will have the same problems with these play dates as they do in class. Forcing them to associate with a child that senses these differences will only make them uncomfortable. As we have previously discussed, discomfort can lead to anxiety, cognitive dissonance or worse. Sometimes, parents will attempt to solve the socialization problem by encouraging their child to engage in group activities. This can be camp, boy scouts, girl scouts, church youth group, sports, the park… anything of the sort. We’re already discussed the instinctual responses of the other children, so I will not go back over that. Let’s look at it from the Autist’s standpoint. Assuming there are no sensory issues… what we see is a swirl of children moving around, all of them able to instinctively interacting. They walk up, look at each other, read body language, micro-expressions and can (pretty much) instantly decide whether or not they want to play together. We can’t do that… it puts things into a harsh light. Even if we do not have the cognitive capacity to comprehend what is happening, but we know… we know we are different. We are acutely aware that we are not the same. It is uncomfortable, unsettling and can be soul crushing. What’s worse is when another child wants to play with us. Because we’ve (in most cases) never really experienced it, we are unsure… Some of us have actually been bullied or emotionally abused enough that we are suspicious of the motives of anyone that wants to spend time with us and we may not be able to accept their motives as pure. In retrospect… in my own childhood, I missed many opportunities that could have led to beautiful friendships… all because I was unable to accept their overtures as pure. In all likelihood, there are sensory issues on top of the social issues… which complicates things even more. To many parents, this seems like an ideal solution. A group of parents that understand, or at the least, can empathize with your situation. A group of Autists that can be friends… On the surface, it seems to be perfect. For the parents, it can be… but for the children it can be a nightmare. How can this be, you ask? Well… Let’s look at it from a Neurotypical standpoint. I suggest this thought experiment. Assume that someone else is responsible for providing you with a social circle to interact with. They look at you and try to predict who you would like to interact with. They try putting you in a group with your own gender… Boys like playing with boys, right? Girls like playing with girls… isn’t that right? So… that didn’t work… what else is there… Let’s try other combinations… You have long hair – they have long hair. You like music – they like music. You wear shoes – they wear shoes. 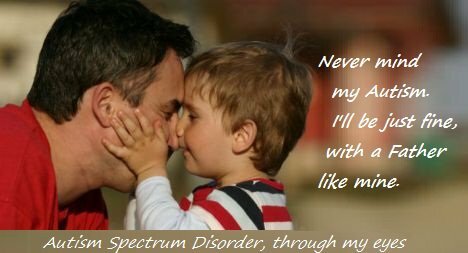 Parents will often assume that the presence of Autism Spectrum Disorders is enough to forge a friendship with… This is patently false. Can you jump into a group of people and forge a friendship with all of them? Hell, even most of them? No. You are picky about who your friends are, and they have to have at least something in common with you. The fact that you are Neurotypical and they are Neurotypical is not enough to build a friendship with… is it? I have been to one of these meet ups. Aspies all have Special Interests. Unless a pair of Aspies share one or more of their Special Interests, they really have nothing on common… Aside from being an Autist… and this is not enough to make a friendship out of. Recently, I started speaking with another Autist who uses the name “Shadro”. She and I share a special interest – Photography. We have a great deal in common and are on the way to (I feel) becoming friends. We’ve spent the last few days sharing nerd-gasms over lenses and cameras and comparing notes on l series vs m series lenses, 7d versus t3i, prime lenses versus zoom lenses… But this is a rarity. 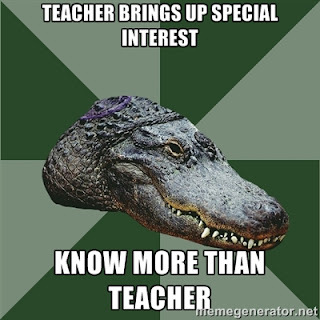 When an Aspie discovers a Special Interest (whether it is a short term or lifelong one), we research all that we can. There are differences in cognitive capabilities, available research materials, personal experiences, anecdotal research from third party sources… As such, each Aspie can, within a short time, be considered an authority in the bailiwick of their Special Interest. They can be considered an Authority, and whether or not they express it in that manner, they KNOW that they know more than those around them about it. Often, however, each Aspie will take different things away from the research and experience than the others. This can, and often does, lead to Aspies with the same Special Interest at cross purposes. Since one will insist that their method, understanding and experience led them to conclusion A and the other will insist that the same things have led them to conclusion B, it can get difficult. Aspies don’t see things in shades of gray. It is black and white. If a thing is true, then it is right. If a thing is true, then the other way must be wrong. While this is an incorrect logical conclusion, it is almost ingrained into the way we think. 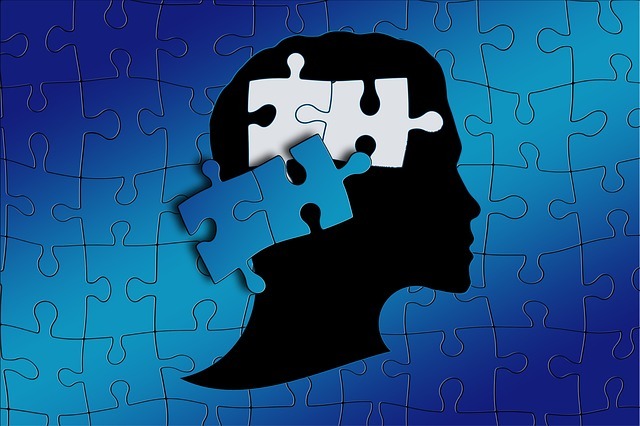 As a spectrum – the higher the cognitive capabilities of the Aspie, the more able the Aspie is to accept a specific way, thought or pattern, or concept may not be the only way. So, even if you put two Aspies with the same special interest together, it is no guarantee that they will become friends. While it hurts your heart to see them without friends… don’t force it. This only serves your own purposes, not theirs. Help them learn the social skills – how to talk to people, facial expression recognition, conversation skills, eye contact… and they will develop friendships on their own… naturally.